A match made in heaven, gone wrong? Sales and marketing are a match made in heaven… or at least they should be. And as with any good match, it’s important to celebrate together. By celebrating success, recognizing performance, and making all of the data and updates clear, transparent and real-time, you can build a powerhouse of revenue. As with any other industry or organization, you are only as good as your leadership. Managers set targets and motivate behavior to accomplish tasks. It sounds simple and straightforward but often proves to be anything but that. To make matters worse, there’s often a disconnection between sales and marketing, resulting in broken communications, blame, and frustration. This is particularly troubling considering that so much sales time is wasted on unproductive leads while simultaneously the sales reps tend to leave almost 70% of marketing materials unused. However, the benefits of aligned sales and marketing are clear. In a study by the Aberdeen Group, it was found that companies with strong marketing and sales alignment achieved 20% annual revenue growth. So, how can you bridge this gap, bring sales and marketing together, and celebrate together in the process? The best way to create unity is through a shared understanding of each person’s individual impact on the overall goal. Nobody wants to be that one team player who isn’t putting out… but often, it’s hard to figure out who’s trying hard and who’s not, so everyone just settles at mid-effort. Instead, managers need to understand exactly what activities drive sales. Then, they need to create KPIs around these activities for both sales and marketing. First, people need clearly defined objectives to complete. If you’re going to ask someone to work hard, they need to know what to do, how to do it, and what importance it plays in the overall mission. Make these things clear. These objectives or KPIs should be based upon whatever drives the most growth and success for the company. Don’t just base your metrics on whatever seems to be trendy or popular in other organizations. KPIs should also be kept relatively simple and attainable. Examples of KPIs include number of calls, revenue targets, demo requests, MQLs, SQLs, and so on. Each department will have their own. And if you have hired decent managers, then they’ll already know where to focus the effort in order to drive performance. By setting these KPIs you allow your employees to know what is expected of them, while also giving them flexibility in how it gets done. TIP: Nobody likes micromanagement, so try to allow each person to problem solve either individually or with coaching. There is no purpose in setting goals if you do not set indicators of success. There is no winning team anywhere that sets goals but then fails to measure their progress towards those goals. Once the objectives are clear, you need to show progress in real-time. The days of posting reports or updates once-a-day or sending spreadsheets via email to update teams on performance are long over. People need to know how they are performing on their targets now. For one, it makes coaching much easier. Coaching should always be based on metrics rather than gut feeling. And the more closely you can tie behaviors to outcomes, the more likely you are to end up with a successful coaching strategy. In addition, using real-time data builds awareness and transparency on key goals. This awareness can be used to keep forward momentum going, rather than allowing it to slip away. Colleagues’ performance and celebrating together enhances teamwork and inspires people. It’s important to provide regular feedback on performance, even with modern software systems. While people may be able to see and understand their progress on goals, a manager still plays a vital role in influencing execution and refining the process. A major problem with work is that for some reason, people act like you’re not supposed to celebrate achievements. We have this idea that work should be dry and boring… but does it have to be that way? Celebrating the accomplishment of goals is a key step in building connections between co-workers. As they say, “the company that plays together, stays together”. If you’re not celebrating the good times, you’ll likely struggle to make it through the bad times without high churn. In order to celebrate achievements, there’s the old way… and the new way. Generally speaking, the old way involves sales bells, white boards, and the occasional power point to spice things up. However, the problem is that it’s hard to create real-time celebrations or to connect separated offices to share in the fun together because of all the back-end work involved. 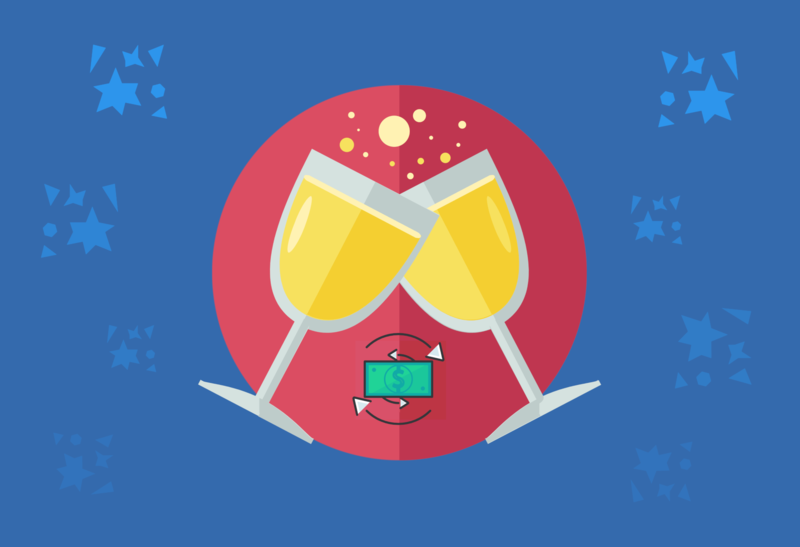 The new way of celebrating achievements involves SaaS solutions, commonly known as engagement software or gamification, which pull data directly from your CRM, dialer, or other connected systems and create instant celebrations on web, TV, and mobile devices. The major benefit is that you can leverage the data to create automatic celebrations and to connect all of your offices around the globe. Celebrations are real, genuine, and focus on the things that matter. Sales, offers, demo requests, inbound leads, and other such activities are great examples of things worth celebrating, especially when a specific KPI is reached (100 demo requests this month, for example). By celebrating the achievement of key goals together, you will create cohesion between sales and marketing, giving them a cyclical incentive to work together and have fun while doing it. Now that you have created unity between your sales and marketing teams, leverage that unity by getting them to celebrate each other’s achievements, thus building true cohesion, teamwork, and alignment. According to American psychologist Abraham Maslow in his “Hierarchy of Needs”, recognition is a critical component of human social interaction and is required to create a workplace where employees feel valued and appreciated. It’s more than just a “nice to have”, it’s a “must have”. Recognition creates a sense of importance, and thus ownership. Recognition is also a low cost, high impact way to boost engagement, motivation, and company culture. In the Gallup article cited here, most employees state that their most meaningful recognition comes from managers or the CEO. However, a large percent also cited peers or customers as their most memorable source of recognition. Increasingly, companies are finding that a bottom-up approach of peer-to-peer recognition may actually be more effective than pushing praise from the top down. In fact, peer-to-peer is 35.7% more likely to have a positive impact on financial results than manager-only recognition. Additionally, a recent research by the Harvard Business Review links loneliness and depression to lack of social support at work. Specifically, social connectedness in the workplace can greatly improve self-esteem, respect, and happiness amongst co-workers. According to a recent UK study, companionship and recognition are even more important than a high salary. Peer-to-peer recognition is critical because it creates a horizontal engagement and motivation structure, rather than top-down. Motivating employees is a critical part of any manager’s job. And it’s much easier with buy-in and support from the ground level, as a result of a strategy that effectively empowers goal setting and celebrations. A major part of where most initiatives fail is that they eventually lose steam and die out. Generally, this results from everyone being so busy with so much to do that even the best plans sometimes fall by the wayside. Yet, due to the benefits of SaaS and advances in technology, it’s now easy to keep the motivational fires burning. A major concern, of course, is that by automating recognition and celebrations, they will lose their value. For the most part, this is true. If gamification and engagement software systems become nothing more than a digital “pat on the back”, they are essentially useless and will actually demotivate over time. However, the goal of engagement software and gamification systems should not be to “replace” current forms of recognition. But rather to “enhance” them. Technology can help provide real-time updates and highlight events worth celebrating. But it is still the employees and management who need to push this forward by making it meaningful. The TV plays some music, user unlocks a new badge, and everyone goes back about their day. Same as above, but co-workers actually get up, congratulate the employee, give him a high-five, and share a quick laugh. Which of the above do you think will result in better company culture, better relations between the departments and an overall happier workplace? Gamification and engagement software systems in and of themselves are silly if people do not meet halfway and leverage the benefits to create better outcomes. This is no different than any other technology or SaaS solution. You get out of the process what you put into it and the systems themselves will never replace the human factor. The role of management will always be to set clearly defined goals and then motivate their teams to accomplish them. The role of employees will likewise always be to achieve the targets set for them. To form the foundation of the company’s culture. How we achieve this will continue to shape and evolve over time as new technologies and ways of doing things emerge. But building a workplace that respects, supports, and celebrates each other has never been more important than it is today. So, what is “The Best Way to Celebrate Lead Generation and Sales”? Quite simply it’s by leveraging the power of data-driven engagement and recognition systems in order to build a workforce that shares vision, purpose, and unity towards common goals that propel the company forward. David Smith is the Chief Marketing Officer for SalesScreen , a sales motivation platform that helps organizations around the world to track progress on KPIs, reward completion of key activities and surpass their goals. As a result, customers experience stronger culture, lower turnover, better awareness on targets and increased activity on the metrics that matter most to revenue growth and success. You can find his writings at The Art of Sales.